Access physical activity grades, report cards and other related documents from all Global Matrix events in which South Korea has participated. Addressing the gap between policy and implmentation, particularly with regards to the school environment and government strategies to promote physical activity amongst children and adolescents. Further research is required to fully understand the nature of the impact of safety on children’s physical activity and play. This influences active transportation, active play, and community and environmental influences on physical activity. Further research is also needed on sedentary behaviours, and screen time in particular, in order to accurately characterise this behaviour in children and adolescents so that appropriate intervention strategies can be developed and implemented. "The researchers and advisors who worked hard for the evaluation of physical activity of children and adolescents for Global Matrix 3.0 come to mind. The fact that we were able to compare and contrast these results and common problems with other countries around the world was interesting and it was extremely meaningful to be able to check the current status of physical activities in our own country and consider methods for future improvement." 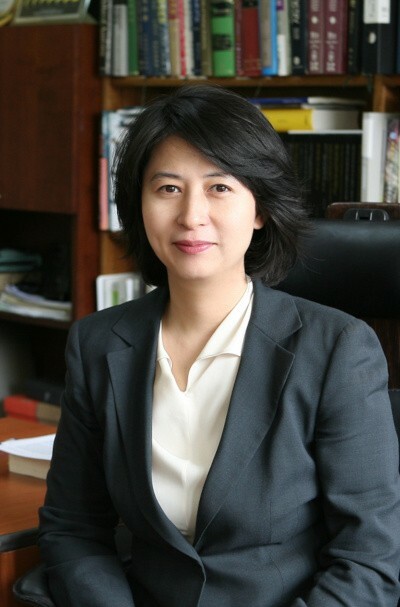 - Yeon Soo	Kim, Ph.D.
South Korea first joined the Active Health Kids Global Alliance (AHKGA) in 2015. 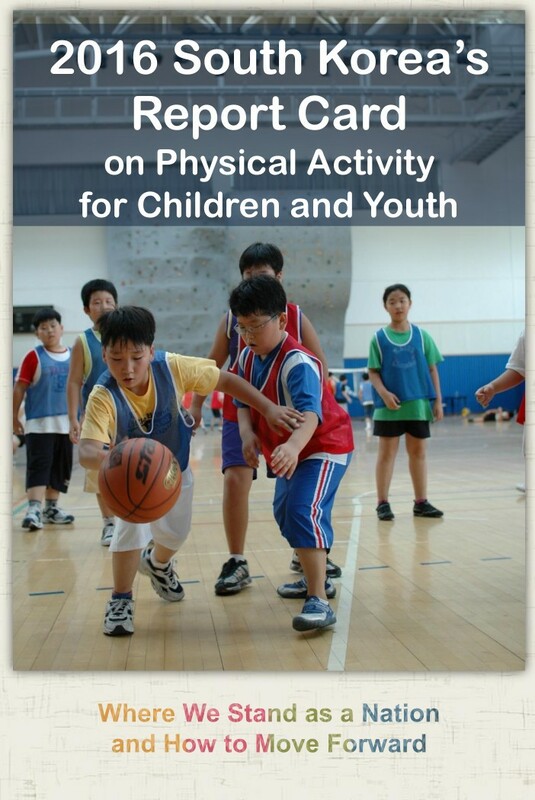 Followed by the 2016 Report Card, South Korea’s 2018 Report Card on Physical Activity for Children and Youth provides a comprehensive assessment of physical activity behaviours and the sources of influence based on the predefined grading scheme provided by the AHKGA. 2018 Report Card (RC) will serve as an advocacy tool and evidence to inform the physical activity-related policies for children and youth. Three nationwide surveillance data (i.e., 2017 Korea Youth Risk Behavior web-based Survey, 2016 Korea National Health and Nutrition Examination Survey, Physical Activity Promotion System) were used to evaluate the physical activity behaviour indicators. In addition, expert opinions as well as the most up-to-date published/unpublished relevant sources were synthesized for the sources of influence indicators. Grades and rationales for the South Korea’s 2018 RC are shown in Table 1. Compared to the 2016 RC, the 2018 RC showed favourable changes in the Active Transportation (B+), Organized Sports Participation (C), Sedentary Behaviours (D), and School (D+) indicators, while unfavourable changes were shown in Overall Physical Activity (F) and Government (D). In parallel with the 2016 Report Card, Active Play, Family and Peers, and Community and Environment remain ungraded due to insufficient data. Results from South Korea’s 2018 Report Card on Physical Activity for Children and Youth showed that though some improvement has been made compared to the 2016 RC, most children and youth continue to be insufficiently physically active with generally poor overall grades. To achieve substantial improvement in all grades, more institutional and governmental support and investment is needed to promote physical activity among children and youth. The authors thank the members of the RC development team who are not listed above. Additional Research Working Group members included Chung Gun Lee, SeJung Park, So Jung Lee, Soo Jung Park, and Youngwon Kim. Additional Research and Content Development members included JungJun Lim, Sang-Hwa Lee, Yu-sun Jin, Deok Hwan Lee, Mi-Seong Yu, Yewon Yu, and Yoonkyung Song. Overall Physical Activity F According to the 2017 KYRBS (n = 55,063; 12-17 years) data, 5.8% of students engaged in MVPA for ≥ 60 minutes daily (the average MVPA data is not available). Organized Sport Participation C According to the 2017 KYRBS (n = 55,063; 12-17 years) data, 50.6% of students participated in at least one organized sport. Active Play INC Due to insufficient data, this indicator could not be graded. Active Transportation B+ According to the KNHANES (n = 524; 12-17 years) data, 79.4% of children and youth reported that they take active modes of transport to/from places. Sedentary Behaviours D According to the 2017 KYRBS (n = 55,063; 12-17 years) data, 32.7% of students spent < 2 hours a day in screen-based sedentary behaviour for recreational pursuits. Boys = C, girls = C- for cardiovascular strength; boys = C-, girls = C- for muscular strength; boys/girls = F for flexibility. Therefore, physical fitness was graded an overall “D+” grade. Family and Peers INC Due to insufficient data, this indicator could not be graded. School D+ According to the KYRBS (n = 55,063; 12-17 years) data, 34.6% of students participated in ≥ 150 minutes of PE for 3 days a week (either in outdoor field or in school gymnasium) in school. Community and Environment INC Due to insufficient data, this indicator could not be graded. Government D Due to insufficient data for this indicator, the committee discussion led to a conclusion that “D” should be graded for Government. Although “C” was graded for Government in the 2016 Report Card, recent budget cuts by the government for physical activity-related policies and initiatives resulted in a lower grade. Note. KYRBS: Korea Youth Risk Behaviour web-based Survey; KNHANES: Korea National Health and Nutrition Examination Survey; MVPA: Moderate-to vigorous-intensity physical activity; PAPS: Physical Activity Promotion System; PE: Physical education. Physical education (PE) curriculum and pedagogy should be reformed with a particular focus on developing physical literacy. Such effort can be a first step to potentially increase physical activity among young people by developing FUNdamental movement skills required to establish physically active habits for life. In addition, PE programs should be supportive of life-long physical activity and sport participation for all South Koreans. Because of the strong emphasis on education and extended time spent in school, more opportunities to participate in PA and reduce time spent sitting should be provided in a school setting. Such opportunities may include prioritizing physical education, delivering school-based organized sport, promoting active recess/lunch time, and breaking prolonged sedentary time in between classes by standing up, stretching and moving around. Gender is a major determinant of physical activity among South Korean children and adolescents; thus, programs/interventions to promote physical activity should be tailored by gender. Physical activity among young South Korean children is comprised almost exclusively on supervised structured activities. Parents/caregivers of children in the early years are recommended to encourage young children to participate in more spontaneous and non-structured active play throughout the day. South Korea is a technologically advanced nation where children are exposed to electronic devices from a very young age. Extended time spent in screen-based sedentary behavior and the negative health consequences are a major public health concern. National level preventive efforts should be made by developing evidence-based, age-appropriate and culturally safe sedentary behavior guidelines with effective implementation strategies. "Participating in the 2016 Global Matrix provided tremendous opportunities to South Korea to review and reconsider what we’ve been doing to promote physically active living for our children’s current and future health. Based on our report, South Korean children and youth compares unfavorably with their peers in other participating countries. With a great deal of media coverage, we hope to attract more attention from government, community stakeholders, schools, and parents and work together towards to nurture active healthy children. The launch of the 2016 global matrix is not the finish line for South Korea. The information we have gathered will provide South Korea great starting blocks to move forward." 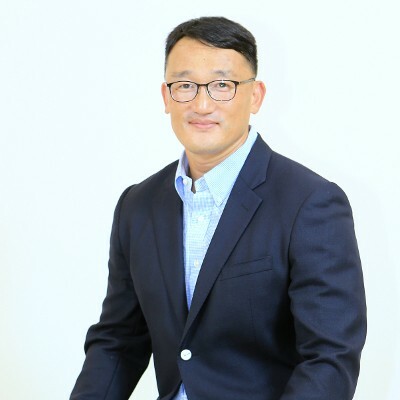 - Justin Jeon, Ph.D.
Background: South Korea’s 2016 Report Card on Physical Activity for Children and Youth is the first assessment of physical activity according to the indicators set by Active Healthy Kids Global Alliance. Methods: National surveys were used as preferred sources of data. This was then supported by peer-reviewed papers and government reports identified by a systematic search of the literature written in English or Korean. A Research Working Group then graded indicators based on the collected evidence. Results: Each indicator was graded as follows: Overall physical activity = D-; organized sport and physical activity participation = C-; active transport = C+; sedentary behavior = F; school = D; and government and investment = C; active play, physical literacy, family and peers, and community and built environment were not graded due to lack of available evidence. Conclusions: Though the final grades of key indicators for South Korean children and youth are not satisfactory, increasing interests and investments have been demonstrated at a national level. More evidence is required for comprehensive assessment on all indicators to better inform policy and practice. This should be accompanied by the use of consistent criteria to contribute to global efforts for active healthy kids.